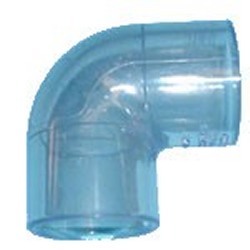 CLEAR 1.5" sch 40 PVC 90° elbow. NSF rated. Made in the U.S.A.